As some of you might be aware I have recently been doing some work with Microsoft Education UK, which gave me the opportunity to talk at the #RedefineLearn event at Simon de Senlis. After the event, I was asked by Microsoft if I could write a blog about the deployment of Windows 10 and the schools story. 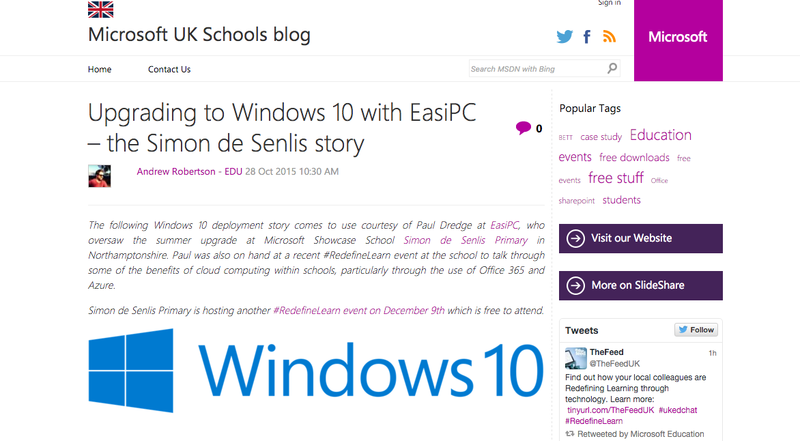 Yesterday saw my blog go live on the Microsoft UK Schools Blog. To see my full blog post please visit the Microsoft UK Schools blog page here. This entry was posted in Blog and tagged #blog. Bookmark the permalink.